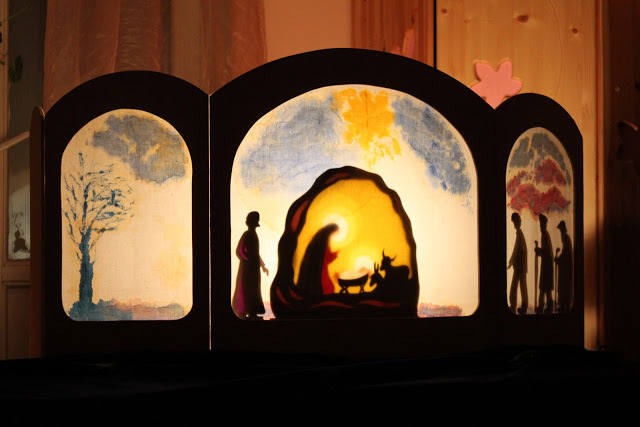 Let’s Make a Shadow Play This Christmas! 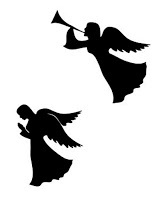 As soon as the Nativity Fast begins, the anticipation of Christmas is literally spread in the air! This becomes especially evident in church: subdued light, altered pitch, and the very structure of worship makes one focused on this special time of year. 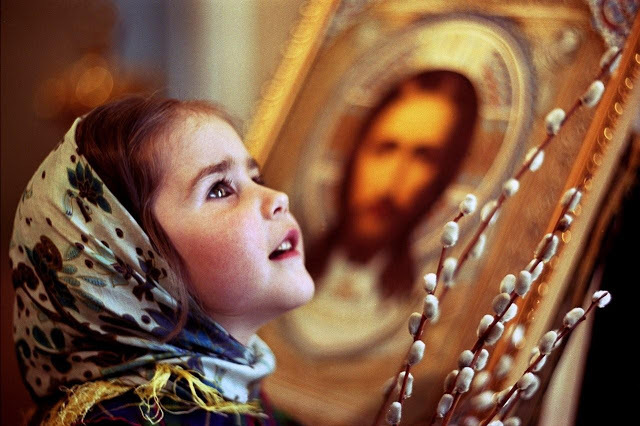 It is crucial that children fall in love with the atmosphere of the Nativity Fast in church and feel its celestial, transparent, and unique grace. This will make it possible for your child to discover the joy of the holiday more and more every year. 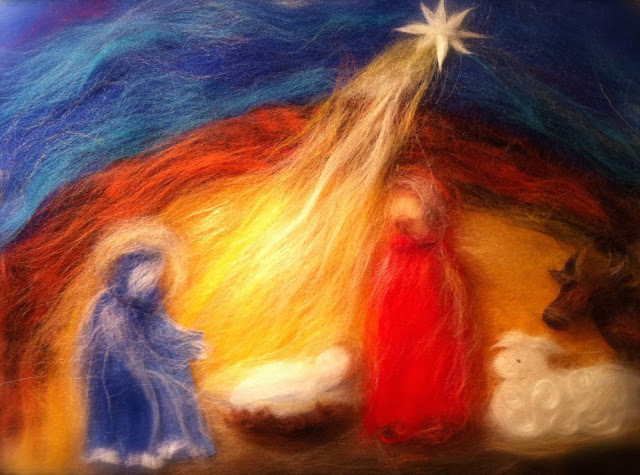 The Nativity Fast is the path leading up to a great joy. Every family has its unique method of preparing for the holiday. 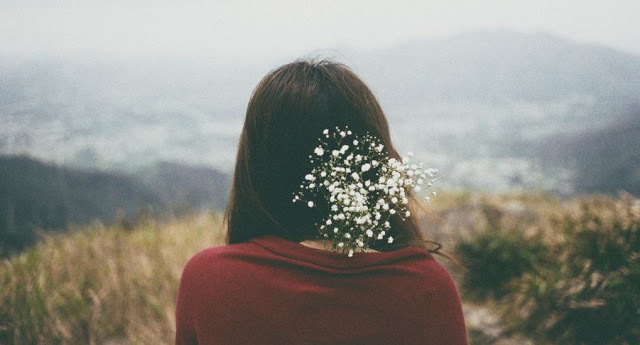 The atmosphere of love at home plays an important role. It is great when the entire family agrees to give up for the fast something that children like in their everyday lives, such as watching TV or playing video games. However, this time must be filled with something. Giving up video games or cartoons might be interpreted as a kind of punishment. What kind of a holiday filled with love and warmth will it be?! 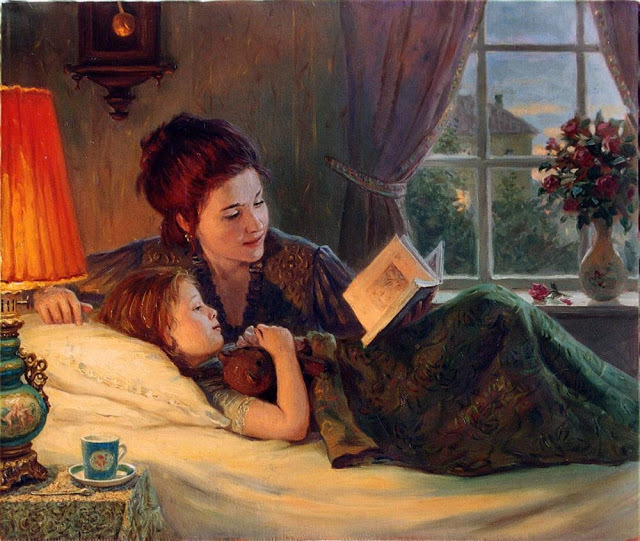 You’ve got to do something together with your kids: either read with them or find useful movies that can be both entertaining, given that children still need some fun, and give some food for thought and for the heart. 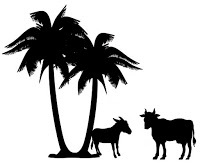 Try making a shadow play! We’ve already posted an article on the benefits of home theater and reading. 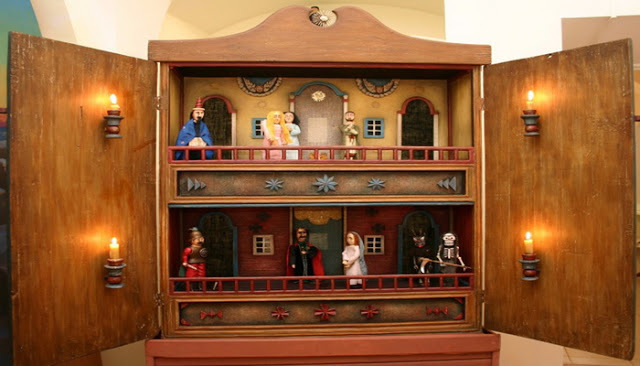 Children can play their parts themselves or use puppets. Home theater has so many hidden opportunities! 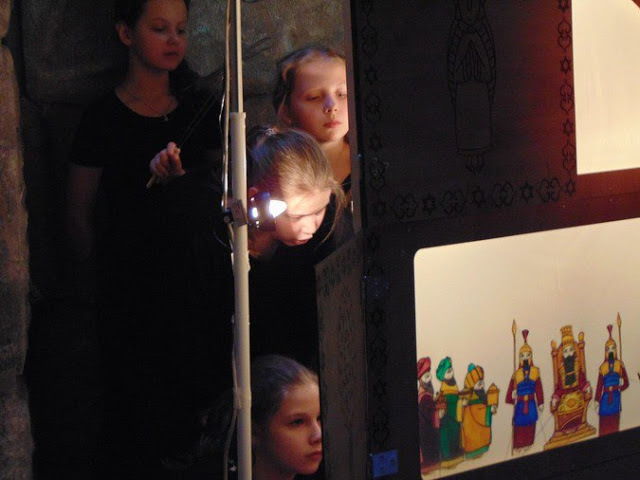 You can construct a puppet theater in a box (known as Batleika in Belarus, Szopka in Poland and the Czech Republic, Vertep in Russia (Vertep is an old-fashioned Russian synonym for “cave”, retained by Church Slavonic. 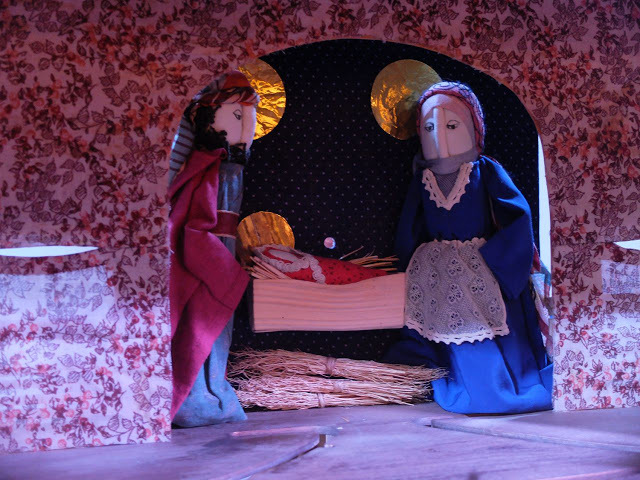 First Christians had to hide from persecutions in verteps (that is, caves and catacombs)), and Presepe in Italy…) This is a time-consuming but a very rewarding process! 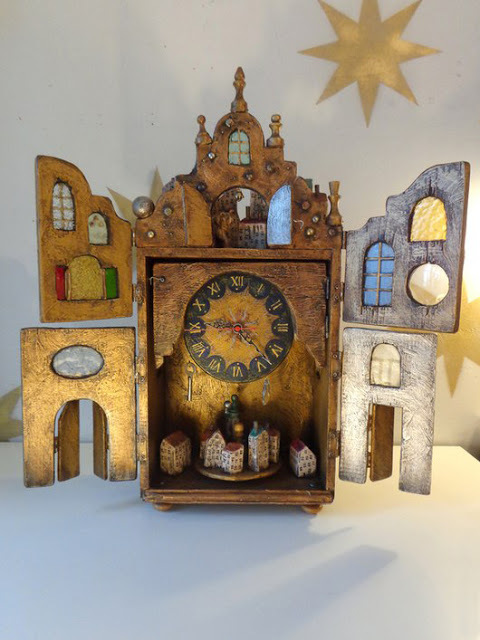 People from Italy, Spain, France, Austria, Czechia, Poland, and many other countries can’t imagine the main winter holiday without the colorful crèches in the streets and squares, in churches, schools and storefronts. 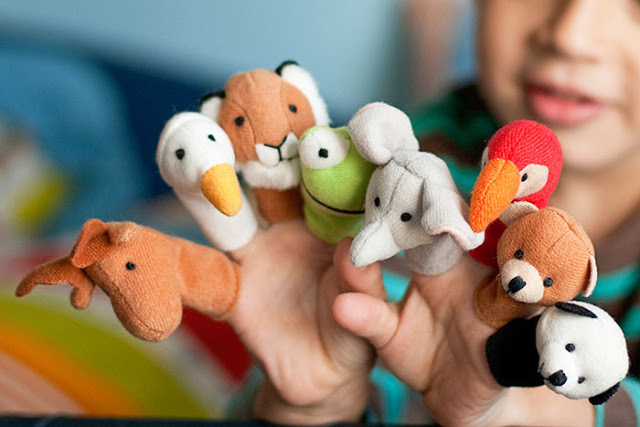 Finger puppets behind a screen is the most basic idea. 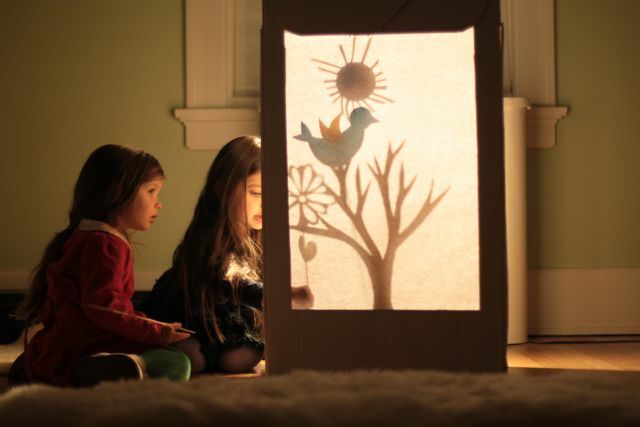 You can also make a shadowplay—one of the most affordable and spectacular kinds of playing with children. It’s a veritable magic! First of all, you’ll need a screen. 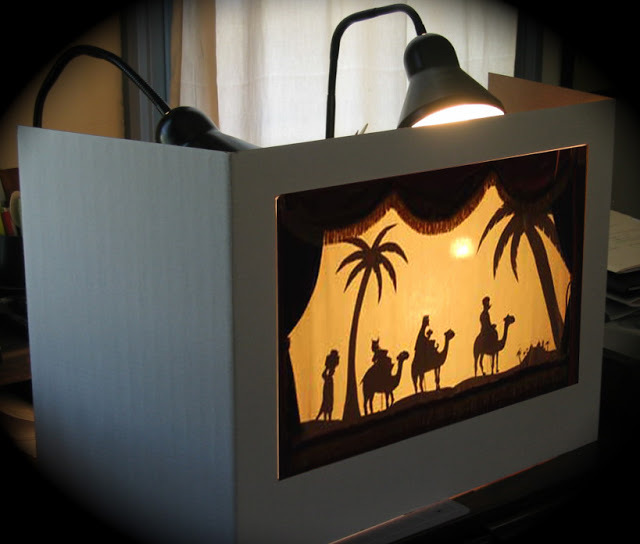 You can make it out of a cardboard box with a cut-out rear wall, or a picture frame. Stretch tracing paper or white fabric over the opening and make props. Place the screen on the edge of the table and a source of light behind your back. Secondly, you’ll need to make the puppets. They are made of cardboard. Print them out or copy by hand. Your puppets will be even more expressive if their legs and arms can move separately from the rest of the body. You can make some of the puppets and scenery from dense transparent film and paint them with glass paints. Now you’re all set for your first rehearsal! Scenario. 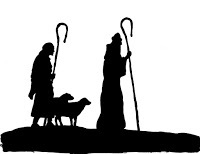 You can use the simple storyline: the road of the Holy Family to Bethlehem, the apparition of the Angel to the shepherds, the journey of the Magi, and finally, Christmas. 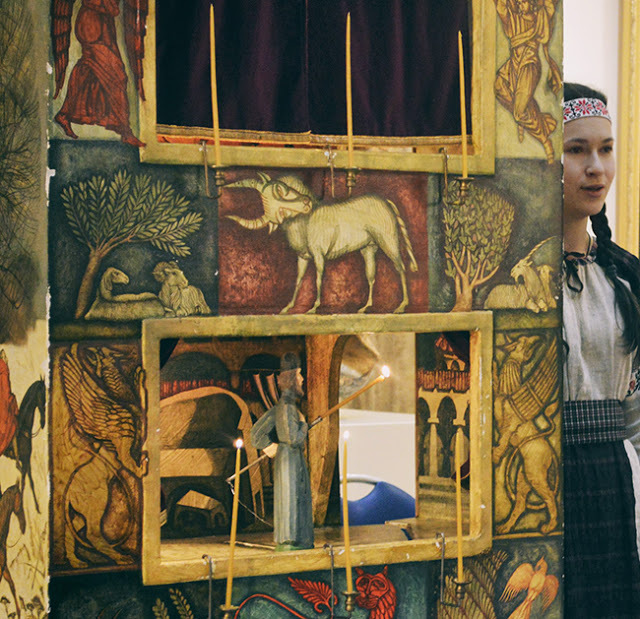 You can end the play by bowing to Baby Jesus and finally singing the troparion to the Nativity in front of the icon. There is an opinion that the voice of the narrator should not intone words or change pitch when playing various parts. All parts are intoned in a neutral voice, on a single note, like in the church, to indicate the sacredness of the action. Script. Read the Gospel narrative together with your kids! 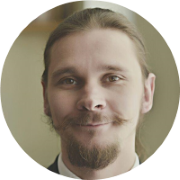 You can find ready-made scripts or contrive your own, depending on the age of the participants. Younger children should use simple words and older children should use more complex words. You can write a rhymed script or a script to sing along, too. Lastly, I would like to underline a very important point. 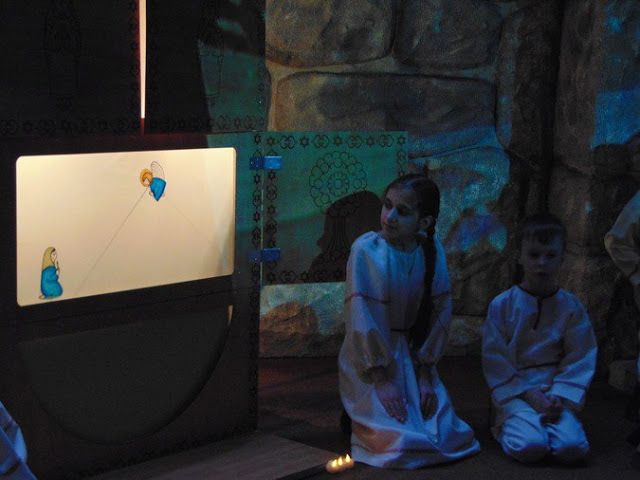 Home theater on Christmas is like a window with a shining candle, a window looking at the living Word of the Gospel, which leaves its imprint on your child’s soul. 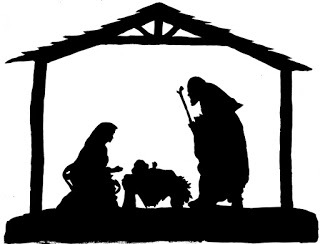 It would be great if you read not only the Christmas story but also the whole Gospel during the Nativity Fast. If you read and study the Gospel in your family as the chief “subject”, then it will enter the life of your home. The Gospel will sanctify your life and govern it. If your home is built on a consensus between the husband and the wife, if both of you agree to listen to the word of God and make the Gospel the foundation of your own life, then you will succeed in leading your entire family to God. In that case, your home turns into a church. It becomes Heaven on earth. 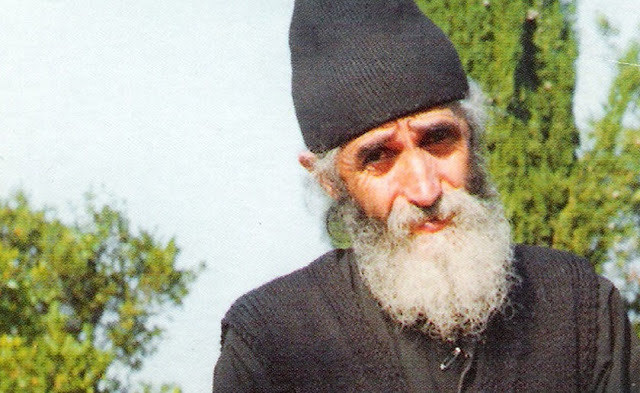 The Lord himself becomes the head of your household.